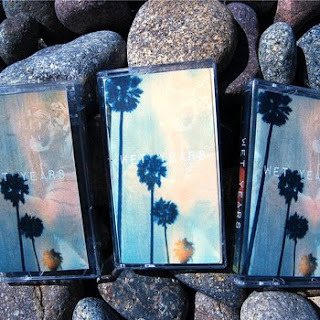 Earlier this year I fell in love with San Diego outfit Wet Years and their woozy gem 'No Surf', still one of my favourite tracks of the year thus far (read what I thought of it here). Now along comes 'Hollandaise', touted as the sister song of 'No Surf', and whilst not AS good its still pretty great. Wet Years just have a great rolling rhythm that is so infectious that I cant help but rock around to the incessant beat, making me look fairly ridiculous, but do you think I really care when the music is this good? Nuh uh.